“Buk-M1” SOC 9S18M1 (target detection) vehicle scans the designated zone The target acquisition information is vectored and then directed to An 9S47OM1 (command vehicle), At this point the target is unknown together with other craft in the zone being observed. The information is processed and calculations including timing with a goal. Target is then fixed it on the radar. Now target acquisition (target capture) is performed. With Target capture the [bombardier] team act to prepare for launch with SDA 9A310M1 (self-propelled fire vehicle) Now coordinating all the information and all the complexities of the system a manual command given by Unit command to eliminate and focus on the target(s). CRITICAL: A BUK IS NOT LIKE A ***GRAD (Katusha); That is stand alone! BM-27 Uragan which launch missiles anywhere on the battlefield. The Buk simply cannot operate effectively in “Theater” standalone. Moreover to cover the distance involved on the day of MH 17 (unless the commander was pre warned) it would require a blanket of acquisition radar vehicles to cover and to observe the airspace. It has to be linked into a wider air defense system! Failure to have enough units to do so would reduce the 4 vehicle (sometimes 6) BUK battery to an almost useless *“defence shield “ However in a case of direct attack from example a ground attack fighter in line of sight there is a possibility the crew would launch a salvo as a “last resort” defense. Important without the accurate target tracking and engagement of the SOC 9S18M1 (target detection) vehicle to provide “beyond visual range” targeting a success is very unlikely. 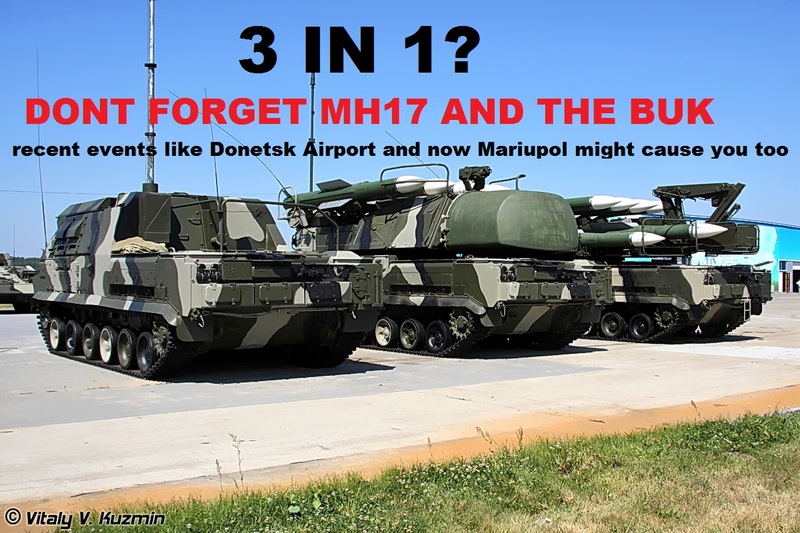 All evidence to hand shows that the Buk was not the system that sho down MH17 and certainly not a stand alone vehicle in the hands of an untrained crew; remembering the conflict at the time of alleged launch was just a couple of months. While focus has been on the delivery system none appears to be ABOUT the missile. The most likely is either the 9М38 or 9М38M1 both of which detonate automatically when the distance to the target becomes smaller than a predetermined value. The missile finds its way to the target with Semi-active radar homing (SARH) Also needed is homing method chosen was proportional navigation. This requires expertise FOR IT TO WORK it requires a signal to be sent from the SOC 9S18M1 (target detection) vehicle to illuminate opertrator to identify target and wave to reflect off the target back to the missile. The missile continues to its prey. All this has to take place in matter of moments. However in January 2011 Ukrainian specialists then claimed the aircraft could have been destroyed by an outside explosion and also by a bomb installed between the outer fuselage and inner panels of the passenger compartment. A single Grad is highly mobile and one cannot ignore the probability a Ukraine army “black opp’ team deployed to launch missiles ( max range 20kms min 1.5 ) at Mariupol firing close to or behind front lines to implicate LNR DNR forces.